Stirling Properties commercial real estate company announced that demolition is underway at Hammond Square shopping center in Hammond, Louisiana, to make way for an estimated $15 million redevelopment project, and the addition of 4-5 new tenants and restaurants. The recent store closures of Sears and Rite Aid at Hammond Square presented an opportunity to refresh the development and replace these stores with roughly 90,000 square feet of new retail and restaurant space, which will be complementary to the existing tenant mix and attractive to customers. Both buildings will be demolished and the newly constructed buildings will be reconfigured to face either I-12 or Hwy. 51. Demolition work commenced in early March and construction on the new space will begin immediately after. The redevelopment is expected to be complete in early 2020. Stirling Properties’ leasing team is currently in conversations with several regional and national retail tenants and restaurants that are interested in the redevelopment. 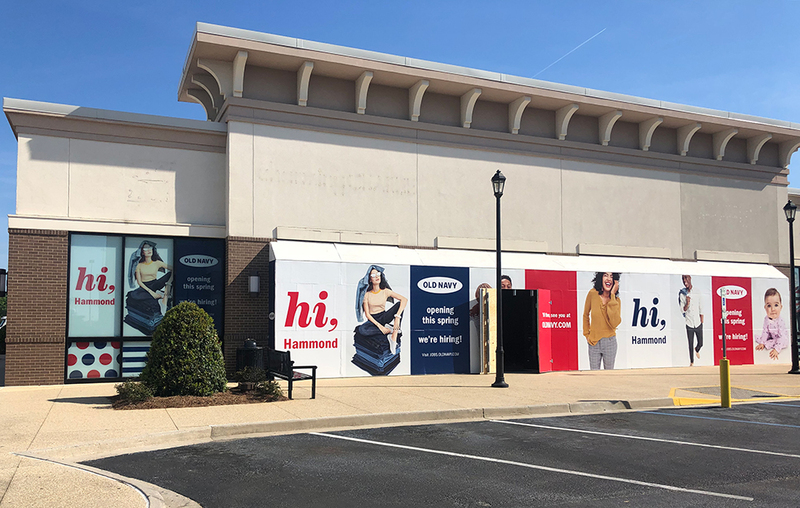 Also new to Hammond Square, Old Navy is still on track to open this spring. Buildout and expansion of the store are currently underway, and the company has begun hiring employment. Old Navy will occupy 12,500 square feet of space on Palace Drive between Zales and Shoe Dept. Encore. “Stirling Properties is thrilled about the positive growth of Hammond Square. With the recent closures of Sears and Rite Aid, we are looking forward to this redevelopment and welcoming new tenants and restaurants to the center. We are in negotiations with several high-quality, well-known retailers that will make a great addition to the Hammond market. We hope to make those public announcements very soon,” said Grady Brame, Executive Vice President with Stirling Properties. For more information on Hammond Square, visit www.hammondsquare.com or facebook.com/hammondsquare. For leasing and sales information, contact Rhonda Sharkawy at (504) 620-8145 or rsharkawy@stirlingprop.com.